We welcome you to the Biolarte family. We are a family business with the main aim of spreading Mediterranean food and cultural heritance to modern gastronomy. Our main concern is products of high nutritional value and quality produced in Greece. Traditional products with a more eye-catching look, tailored to the demands of the modern consumer. Quality food is not a distant dream , it is a demand that we all have to have for our family and our lives. Through continuous quality controls in the country of production and having certifications and awards from various international quality and tasting competitions, we ensure that the products we have are of excellent quality . 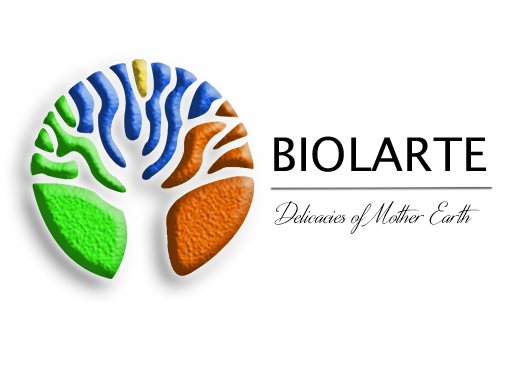 Our goal is to build a relationship of trust with the customer through BIOLARTE 's online platform. With regular, interactive communication, we want to achieve better consumer information for the products we offer in the best quality - price relationship. To provide you with the best online services in the future. Become a member of the Biolarte family and come to experience the dreamy feeling of a gourmet trip that will highlight the rich tradition,the healthy eating and the tastefull myth of Greece.